Galina Veramejchyk has 20 years’ experience in non-formal adult and youth education within civil society in Belarus. In 2003, she founded an NGO “Education without Borders” with her colleagues, were she held the position of an executive director from 2004 until 2012. Since 2012, she has been a member of the Council responsible for the management skills development of younger staff and international cooperation. She is an experienced in promotion of the idea of lifelong learning on the national level, networking and cooperation in adult and youth education sector, fundraising and project management. She is also a former member of the Board of the Network of educational NGOs in Belarus “Association for civic education” (the Association for Life-Long Learning and Enlightenment was later on registered based on this network). 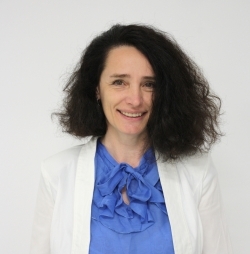 Since 2004, she has worked for German development agencies like German Support Program for Belarus (FpB/IBB) and DVV International; and has also experience in cooperation with international donors (World Bank, UNDP). Galina Veramejchyk has a Diploma in land surveying, University of Mines, Saint-Petersburg, Russia (1987); Post Graduate studies with the focus on general pedagogics and history of pedagogics, National Institute for Higher Education, Minsk, Belarus (2005); and a Master’s degree in adult education (M.A. ), Technical University of Kaiserslautern, Germany (2014). As an EAEA Board member I want to help to promote the idea of adult education and lifelong learning in Belarus and other countries of Eastern Europe. The last 25 years have seen a transformation in Europe’s former communist countries resulting in their liberalization and reintegration into the market economy and European system. But the task of building a strong system of adult education helping to complete democratization, supporting civic participation and sustainable economic growth has been difficult and protracted. I can bring a number of best practices from the grassroots and association levels that will strengthen the reflection on the future of adult education. Joining efforts could help us overcome the barriers on a national level and advocate for more inclusive and empowered adult education practices within Europe.